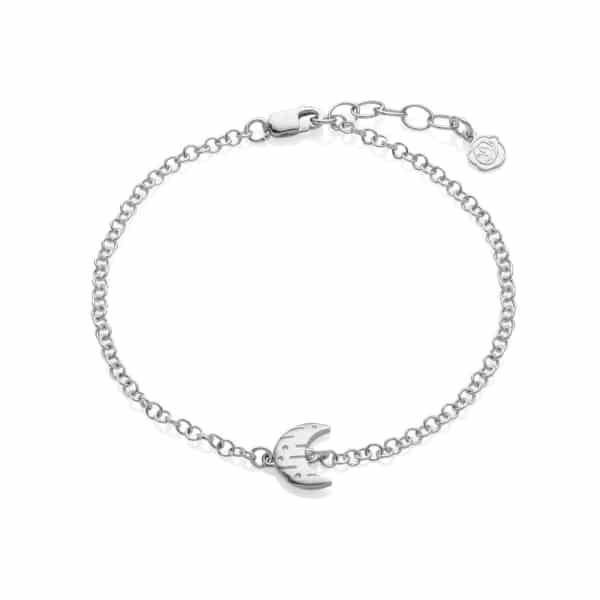 Let someone know just how much you love them with our exquisite Moon and Back Silver Bracelet. Inspired by the romantic expression, ‘I love you to the moon and back’, it features a beautiful crescent moon shaped charm presented on a premium sterling silver chain. 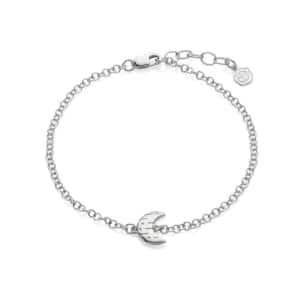 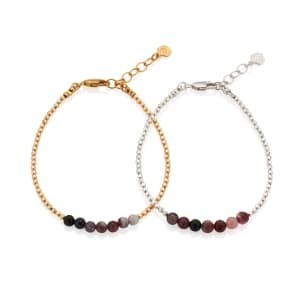 Adjustable to fit all sizes, the Moon and Back Bracelet will make a stylish addition to any outfit. 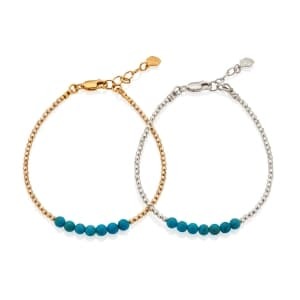 It can be worn solo for a chic and sophisticated daytime look or stacked with other sterling silver bracelets and bangles for evening glamour. 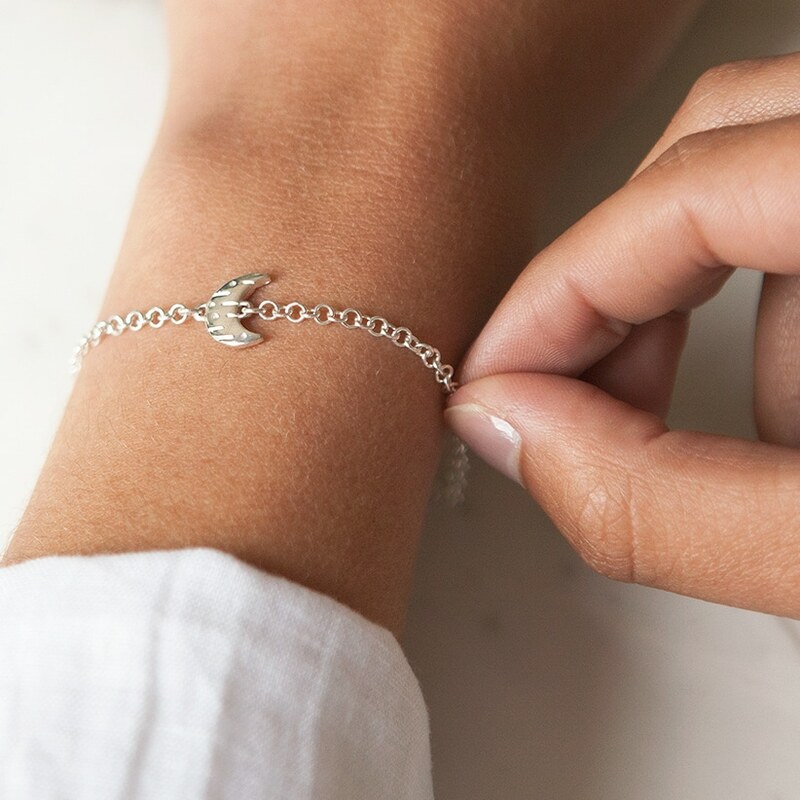 A stunning gift for bridesmaids, flower girls, and special occasions such as Mother’s Day, it is a jewellery box essential for the lady who you love to the moon and back. 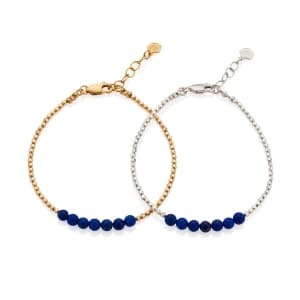 Also available in a child’s size.